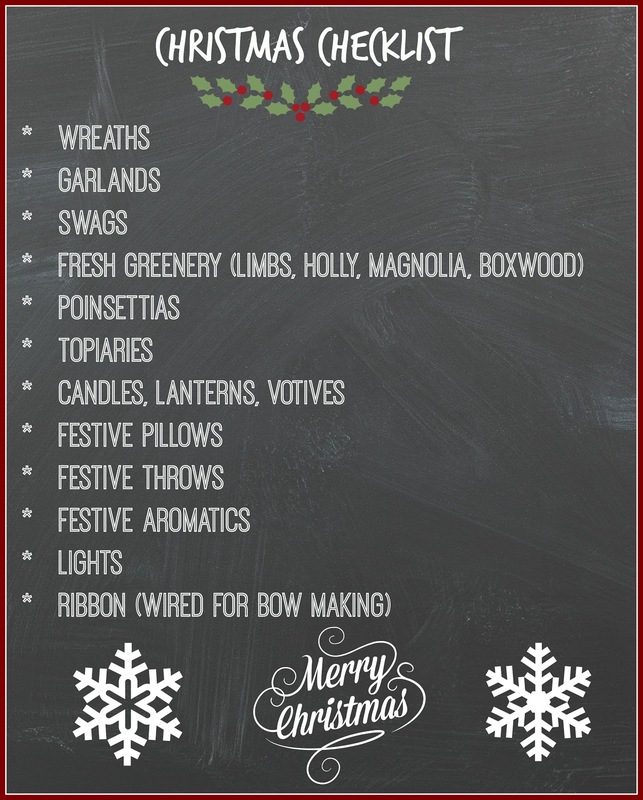 Christmas Checklist! The Daily Nest: Christmas Checklist! Just a short post today, because I'm busy getting ready to cook and bake for Thanksgiving! I think I mentioned we are going to my niece and her husband's house. So excited and proud of them! It's nice to kind of hand off the torch! Although I still love hosting! This year I'm making the dressing, gravy and an apple pie. I'm really getting off easy this year. Anyway…my mind is really on Christmas decorating! If you're like me when I start dragging out my Christmas decor from the attic and closets I can never really remember what I have! Weird how that happens. But it does! So this year I made up a Christmas Checklist to help you keep track of what you need. It's filled with the basics to help get you going. If you're going shopping on black Friday or this weekend, print this out and take it with you to the store so you won't be like me and forget anything!